The fine art of traditional bullseye pistol, shot one-handed on turning targets, is alive and well at Nashua Fish and Game Association. 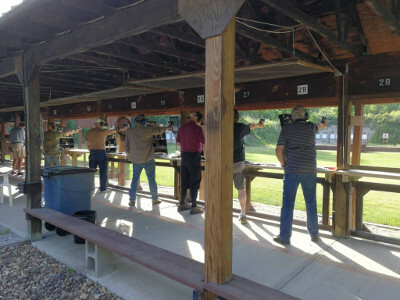 NFGA conducts a bullseye program consisting of indoor and outdoor leagues, indoor and outdoor tournaments, marksmanship instruction, and much more. Our tournaments, leagues, and most activities are open to non-members. All NFGA facilities are handicapped-accessible.